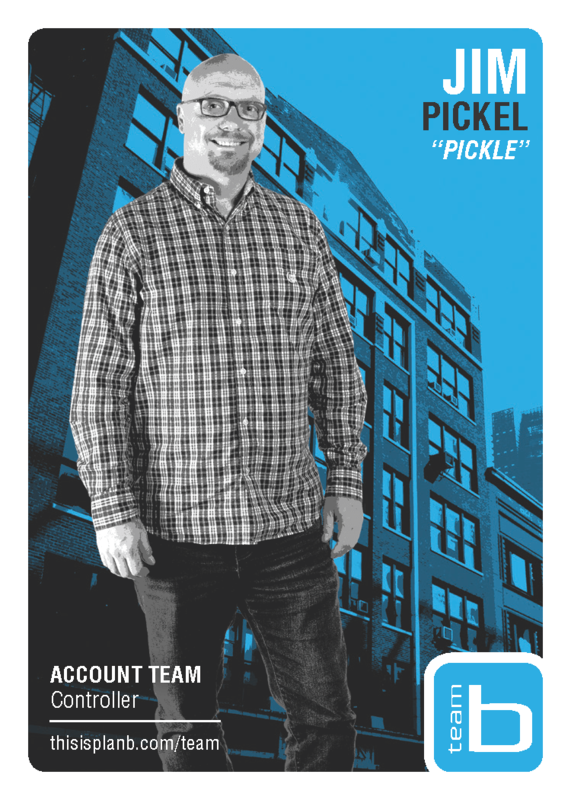 As a financial veteran of over 20 years, Jim brings his many talents and expertise in accounting, human resources, and payroll to the Plan B team. He has a meticulous attention to detail as well as an ability to perform a wide range of responsibilities from accounts payable to preparing financial statements. Before joining Plan B, this former Purdue Boilermaker spent 10 years as an assistant controller at Rogers Enterprises Inc., where he managed a team and was responsible for revenue, accounting, reporting, and planning activities. As the Controller at Plan B, Jim is in charge of producing financial analysis reports, onboarding new employees, and performing job costing and billing for our clients. In his free time, Jim enjoys autocross and racing events. While he’s mostly a spectator these days, he used to race stock cars and once competed in a national drag racing series! Off the track, you can find Jim biking around the suburbs and listening to his favorite band: Slayer.